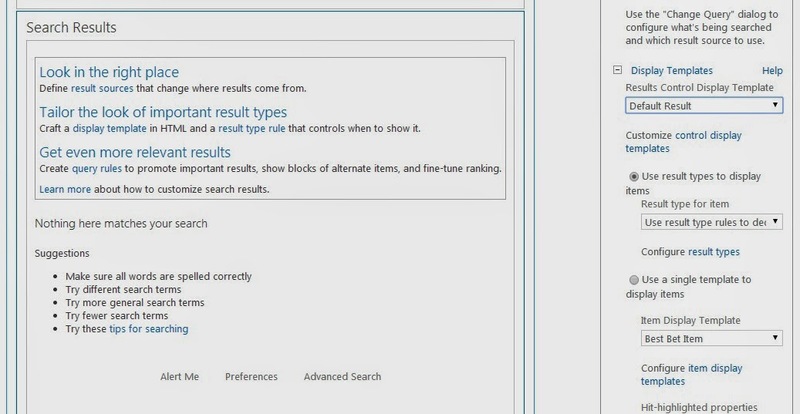 Open Custom_Control_SearchResults.html in any editor. We need to look at two things here. First, under HTML Title tag, you can see the text "Default Result". This is the text which is shown in web part properties drop down (refer previous diagram). So, change this title to "Customized Default Result". Next step is to identify the section of the code which is displaying Results count in the page. I just searched for ResultCount and I got the section as shown below. Here, our code of interest is between "ms-srch-resultFooter DIV tag and UL tag. 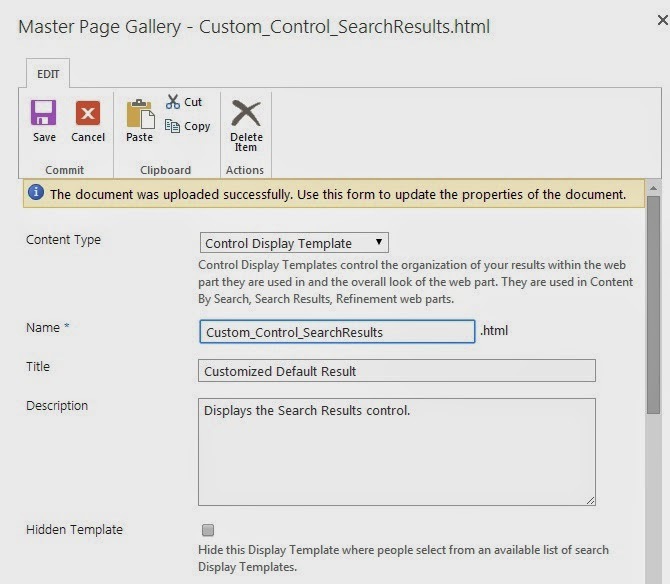 Save the file and upload it to the same folder in Master Page Gallery from where you downloaded Control_SearchResults.html. In the file properties window, ensure that Content Type is Control Display Template (Actually, since we have taken copy of out of the box display template, most of the properties remains correct) as shown below. Now, go back to Results.aspx, edit Search Result web part, under Results Control Display Template you can see the customized display template is shown. Select that, save the page. Now do search and you can see the results count just above the results. Did all the above. 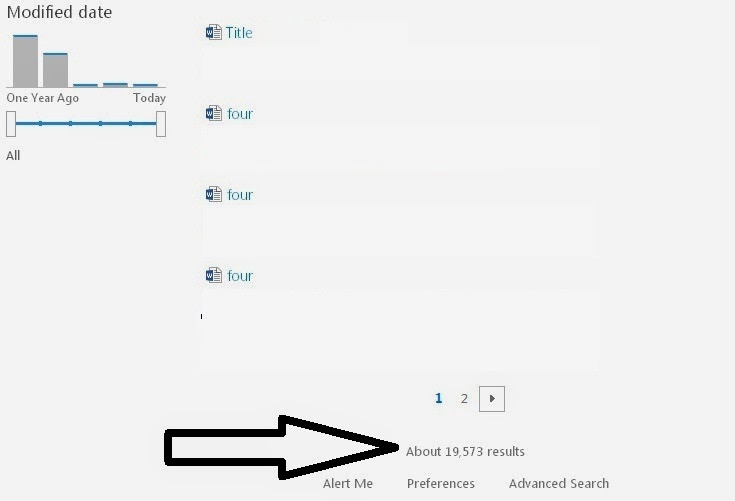 Search portal for admin showed op with search result on top of page. Just as expected. Loging in as user (visitor), all the search results were gone. Fixed this by checking out the file on the masterpage and checking in (version 1.0 publish).